BFP: Christmas is a season for Oplan Paalala. 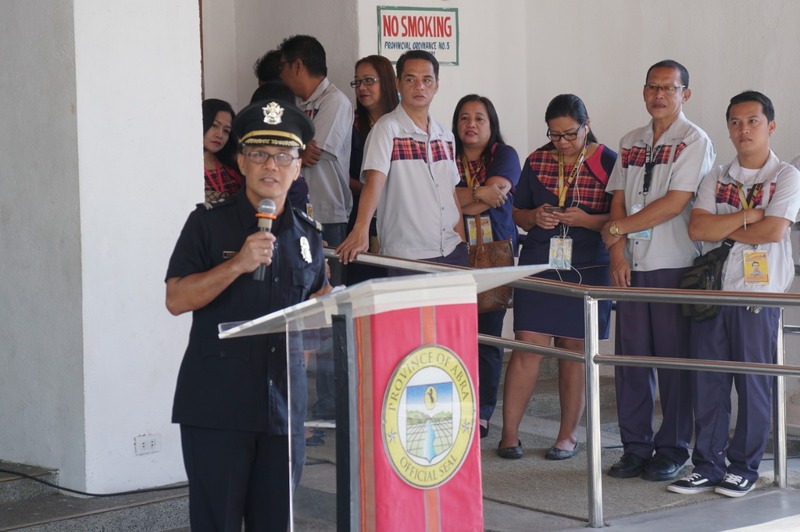 During the first-Monday flag raising ceremony this December, Abra Provincial Fire Marshall Alex Testado of the Bureau of Fire Protection (BFP) presented to his fellow public servants the bureau’s fire prevention campaign. “Christmas is a season of get-together for friends, families, and communities. But for firefighters, Christmas is a season for Oplan Paalala, the season of getting together for fire protection,” said Alex Testado as he started his talk regarding the bureau’s campaign on fire prevention. Testado discussed Oplan Paalala campaign as a fire safety information drive that creates an environment empowering the public through safe and proactive measures in fire prevention during the Yuletide season. He also described the trend of fire incidents in Abra. According to Alex Testado, since Christmas of 2015, fire incidents have gone down to two in 2016 and just one last year. Causes of the incidents were electrical and unattended cooking equipment. As he ended his talk, he encouraged the public to spread the information regarding their Oplan Paalala campaign. He emphasized that the community plays a big role in disseminating information and effectivity of the campaign.